Finally the daytime high temperatures dropped below 80 in November and all the cool weather garden plants really perked up. The black krim tomato plants are loaded with fruit and our first tomato was harvested at the end of the month. The snow peas have started to flower and we had our first spinach salad from the garden to the table in the last week of November. The bok choy is ready for harvesting and the standard cabbage has begun to form. All of the broccoli and cauliflower plants really took off with the lower temperatures. The carrots are doing great and we may have our first harvest in December. The lettuce will be ready for harvest in another week or two. A dozen or so cherry tomatoes were harvested this month and many more are beginning to ripen. The Toma Verde tomatillo plant is doing well with lots of fruit, however the Zuni tomatillo is not liking the cooler temperatures and dropping some fruit. The first couple sweet peppers were harvested this month as well. The chives, oregano, sage, dill, cilantro and thyme are all doing well and I harvested the first handful of cilantro in November. My parsley, savory and kale seeds planted in November have sprouted. The nasturtiums should be blooming very soon. The bees are very happy with the gallardia, cosmos, and marigolds that are in bloom. The first lemons were harvested and both the lemons and grapefruits will be ready over the next couple months. Web site updates - Separate recipe page and separate Q&A page added for easy access to all recipes and Q&A's. Lots of chili peppers harvested and dried in November. The first ripe pomegranate was harvested, so the harvest season is beginning. The pepper plants are starting to shed and stopped producing with the cool temperatures. More than usual green worm damage to the leafy vegetable plants this month. Frost protection - Keep your frost sensitive plants warm and covered from frost. This includes pepper, eggplant, tomato and basil plants. Cool weather vegies like lettuce, cabbage, cauliflower, snow peas (only the flowers are frost sensitive) are not as frost sensitive and some will actually have improved flavor with a bit of frosty weather. Wrap the trunks of young citrus and other cold-tender trees with cloth, cardboard or several layers of newspaper (no plastic) to protect them from frost. Leave them wrapped until the threat of frost has passed. Build mini greenhouses with PVC pipe and plastic for protection and to create warmer conditions. I will do this for my tomato plants. Citrus harvesting - Citrus fruit stores best on the tree, so you can take your time and harvest the fruit over several months. Be sure you pick up any fallen fruit from the ground to deter pests and avoid disease. Lemons and tangelos will be ready for harvest first. Lemons do not get sweeter as they turn yellow, just juicier. 1. Time to plant bare root fruit trees (apricot, plum, apple, peaches). Choose low chill hour ( 1hr at or below 45 degrees = 1 chill hr. ), 250 or less hour varieties for best results. 2. Pick tomatoes before first frost. 3. Mulch any bare soil in your vegetable garden and make sure the soil drains well and is allowed to dry before watering again. Roots only grow in dry soil. 4. Start planning your garden for spring/summer planting and get your seeds ordered. 1. Don't pick grapefruit yet, they get sweeter if left until spring. 2. Don't do any major tree pruning in December. 3. Don't fertilize trees or shrubs in December. Wait until Spring. 5. Don't ignore pest problems. • Seeds - beets, bok choy, broccoli, cabbage, carrots, cauliflower, collards, green onions, mustard, lettuce, peas, radishes, swiss chard, spinach and turnips. Note: Asparagus is best planted in a single row. • Herbs: Borage, Catnip, Calendula, Chamomile, Chives, Cilantro, Dill, Fennel, Feverfew, Lavender, Parsley, Rosemary. 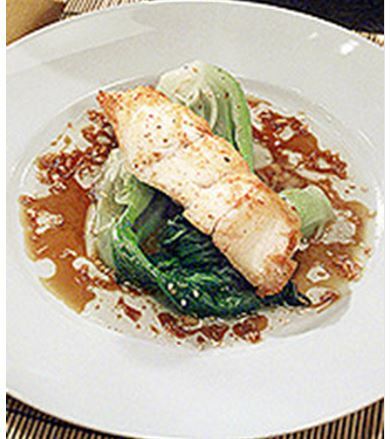 - Substitute 4 grouper filets for the chicken if desired. You can use your fresh bok choy from the garden for this tasty dish. 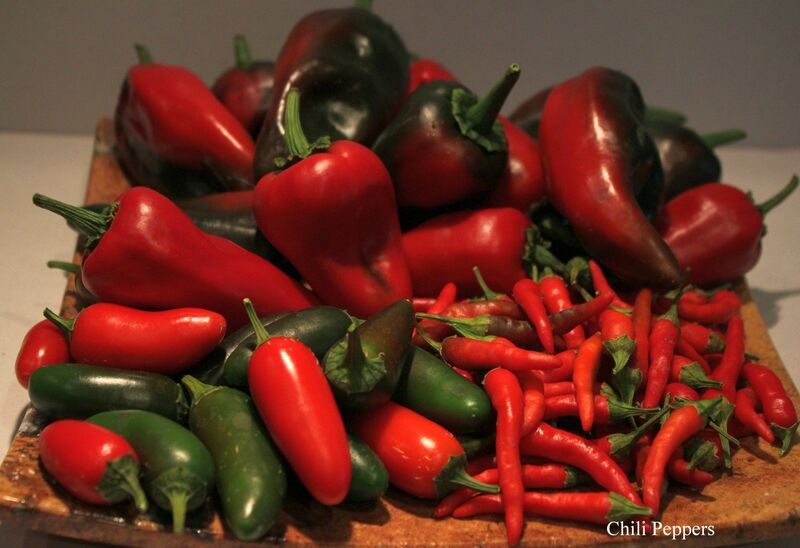 Birds are attracted to the color red, so if you like your sweet or chili peppers red, then harvest them when they just start turning red and store them at room temperature until they are fully red. For tomatoes and red fruit (pomegranates), you can cover the fruit from view to keep them safe. I remove any tomatoes that are easily seen, just before they are fully ripe and let them ripen off the plant indoors. If the fruit is concealed by the plant, then there is a better chance that the birds will not see them and you can let these ripen on the plant.